Did you know that the Pro Bono section has given over $636,000 in pro bono grants? The Pro Bono Committee of the section has been hard at work collecting and reviewing a number of pro bono grant applications, and anticipates awarding approximately $50,000 in pro bono grants. We love hearing stories where our members are serving others via pro bono activities, so please send us an email and tell us how you are serving others. If you are looking for pro bono opportunities, please let us know as the section has a number of resources to connect our members with service opportunities. The Pro Bono and Grants Committee promotes equal access to justice through financial and volunteer support of pro bono organizations. The Section awards annual grants and recruits attorney volunteers to assist pro bono organizations that provide volunteer and training opportunities for in-house and outside corporate counsel. 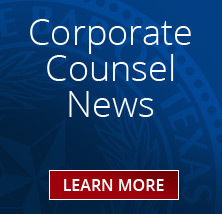 The Section also provides grants to the Texas Access to Justice Commission to support internships by law students in pro bono organizations and to support the annual Corporate Counsel Pro Bono Award. The Section also funds the Justice for All calendar published by the State Bar of Texas which is furnished to low income Texans, informing them of their rights and responsibilities. If you have questions or suggestions, contact Michael Marin, the Pro Bono and Grants Committee Chair. Click here for materials from our Section Newsletter on establishing a pro bono program for an in-house legal department. Click here to report your pro bono hours to the State Bar of Texas. Attorneys are needed to accept pro bono civil law cases, act as mentors and co-counselors, volunteer as presenters at substantive law training events, serve on speaker panels, provide assistance to pro se litigants, and participate on local pro bono advisory boards. Follow the links below to learn about pro bono opportunities in your community. Worried about lacking expertise, malpractice insurance, time? TexasLawHelp.org is an online resource for low-income Texans providing information about legal rights, self-help resources, and legal aid. 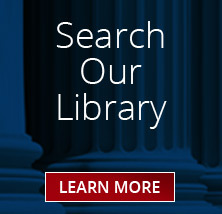 TexasLawyersHelp.org contains resources for pro bono and legal services attorneys, law professionals, and law students to assist in representation of low-income and disadvantaged clients. Corporate Pro Bono (CPBO): CPBO is the premier resource for legal departments and in-house attorneys interested in doing legal pro bono work. CPBO provides technical assistance, online services, training, surveys, research materials, onsite pro bono clinics, and confidential consultation services to in-house pro bono volunteers – all at no charge. The CPBO Website is a great place to get started if you are an in-house lawyer looking for volunteer opportunities in your area, wondering how to start a pro bono program in your legal department or ACC Chapter, or looking for quick answers to commonly asked questions about in-house pro bono. Texas C-BAR: Texas Community Building with Attorney Resources (Texas C-BAR) is the only project of its kind in Texas, providing free business law services across the state to community-based nonprofits developing affordable housing and other much-needed services in low-income communities. 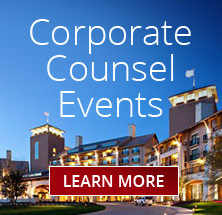 Texas C-BAR provides business lawyers with opportunities to volunteer their expertise in ways that many litigation-oriented pro bono programs do not offer. Attorneys accepting referrals from Texas C-BAR represent community-based nonprofits in their work to transform distressed neighborhoods into healthy communities. The nonprofits assisted are engaged in a broad range of activities to better the lives of low-income persons, including building houses for low-income families, repairing houses for the elderly and disabled, creating after-school programs for at-risk children, and developing job training initiatives for women moving off of welfare. The types of legal matters referred include: preparing incorporation documents, nonprofit tax advice, drafting personnel policy manuals, construction contract negotiation, preparing real estate documents, preparing partnership agreements, adviceon corporate governance matters, property tax exemption advice, establishing subsidiary corporations, clearing title to parcels of land, reviewing loan documents, obtaining tax exempt status. Can't find time to volunteer? Donate now via your MyBarPage! If you are finding it difficult to make time in your schedule for pro bono activities, you can still give by making an Access to Justice contribution. Your donation is tax deductible and helps some of the 5.7 million Texans living in poverty who confront myriad legal problems and have little to no resources to get the legal help they need. Legal aid is only able to meet 25 percent of the legal needs of these low-income Texans. Any donation you make can help meet the growing need for access to justice in Texas. Texas Lawyers for Texas Veterans is a State Bar of Texas program initiated by President Terry Tottenham to develop and assist pro bono legal clinics throughout the state for military veterans who otherwise cannot afford or do not have access to the legal services they need. 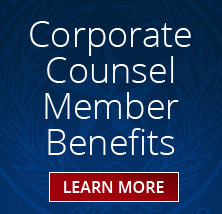 Corporate Counsel are ideally suited to provide pro bono help at a Housing Crisis Center Clinic (legal advice based on a lease; no litigation; help clients by providing legal advice during the clinic – no follow up; legal malpractice coverage through Legal Aid of NorthWest Texas). Clinics are held every Wednesday evening starting at 5:30 PM. Volunteer attorneys should arrive by 6 PM. Contact Penny Phillips for more information at 972-665-9823 or penny@phillips411.com.